A neck injury is common in a car accident. While called “whiplash,” it’s actually an example of the Cervical Acceleration/Deceleration Syndrome. In a typical rear impact collision, the “bullet” vehicle strikes the “target” vehicle from the rear. In just microseconds, the driver’s head in the target vehicle jerks backwards and then quickly lurches forward. This distorts the graceful forward curve of the neck. This triggers muscle spasms and inflammation. As the target vehicle moves forward pushed from the rear, the force placed on the person’s back can injure the driver’s mid- and lower-back. Now the body reverses direction, moving forward with the vehicle. The neck lags behind. And then is suddenly propelled back and then forward again. This stretches and rips muscles, tendons and ligaments as they extend beyond their normal limits. All this in just a split second! Because of the excited or stressed state produced by the accident, victims may not be immediately aware of all their injuries. In fact, initial symptoms may be quite mild. A visit to the emergency room gives you clean bill of health and sends you home with some muscle relaxers. The medication can make you feel better. But they ignore the inflammatory cascade produced by the structural and functional changes to your spine. As time passes, whiplash victims find themselves feeling as if they had gone to the gym and had a vigorous workout. They’re feeling stiff and sore. They may have dizziness and difficulty concentrating. These symptoms often continue until they receive a chiropractic evaluation and care plan. With each passing day, the soft tissue injuries produce scar tissue and ligament damage. If neglected, this can lead to serious and increasingly difficult to correct effects. Those who experience pain right away may have a much more serious and potentially permanent condition. There may be complications caused by concussion, disc injuries or ligament injuries. These can be more serious. Concussions are either mild or severe. But the truth is that a concussion is the brain bouncing around inside the skull, bruising of the brain. Even a “mild” concussion is serious. Detecting internal bleeding and hemorrhage is possible with appropriate diagnostic testing. Surprisingly, a common danger associated with concussions is not knowing you’ve had one. The danger worsens should there be another concussion. If this “Second Impact Syndrome” should happen shortly after the first, it can be far more serious, even lethal. We have managed such cases with great success in our practice. We begin with a proper evaluation of a potential traumatic brain injury and when necessary, make the proper referral. Disc injuries are quite common among those suffering whiplash injuries. These can manifest as disc bulges, protrusions and extrusions. The worst-case scenario is a ruptured disc. Disc injuries are often painful and difficult to recover from. Especially if relying on traditional medical approaches that often include addictive drugs or irreversible surgery. Seek treatment with a qualified professional who can recommend a conservative approach before pursuing more risky treatment options. We have treated many types of disc injuries with great success. As severe as disc involvement may be, damage to ligaments and other connective tissue is even more serious. ligamental damage. Lacking the blood supply of muscles and similar tissues makes recovery slow. The most severe ligament injuries can have permanent effects and are easily aggravated and re-injured. It’s one more reason that it’s crucial to seek treatment from an expert who understands these nuances and has daily experience treating these types of injuries. I have extensive training in such conditions and we’ve had great outcomes in stabilizing and treating the ligamental injury common in whiplash injuries. Peer reviewed medical research journals often document that chiropractic care is an effective treatment option for whiplash injuries. Chiropractic care helps restore proper alignment and organization of affect tissues, contributing to better healing. optimal healing and helps avoid the scar tissue that interferes with a complete recovery. Clearly, the soft tissue injuries resulting from a motor vehicle collision can have very serious consequences. The good news is that there is absolutely no reason for you to suffer and live in pain. My experience in these types of cases is extensive and we see miracles every day. Naturally, they’re not actually miracles. However, if after the pain medications, muscle relaxers and threats of surgery, it seems like a miracle. 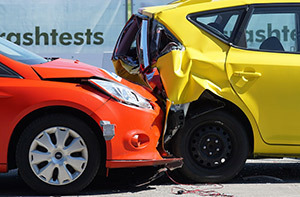 That’s because we focus on the underlying structural and functional alterations caused by whiplash injuries. We treat the misaligned spinal joints. We address the soft tissues and help promote healthy healing. The work we do promotes the well-being and healthy communication of your nervous system. The result? Medications eliminated. Surgeries cancelled. Simply put, you get your life back. My job is to restore your body’s power to heal itself. While results are different for every individual, there is one thing I am confident of: you will feel improved. It is time for you to thrive, not just survive. Call us today for a free consultation. I eagerly anticipate the privilege to help you. Above all, have a blessed day.